Cetearyl Alcohol, Hydrogenated Vegetable Oil, Aloe Leaf Juice Powder, Stearic Acid, Propylene Glycol, Eucalyptus Leaf Extract, Cucumber Fruit Extract, Sodium Hydroxide. 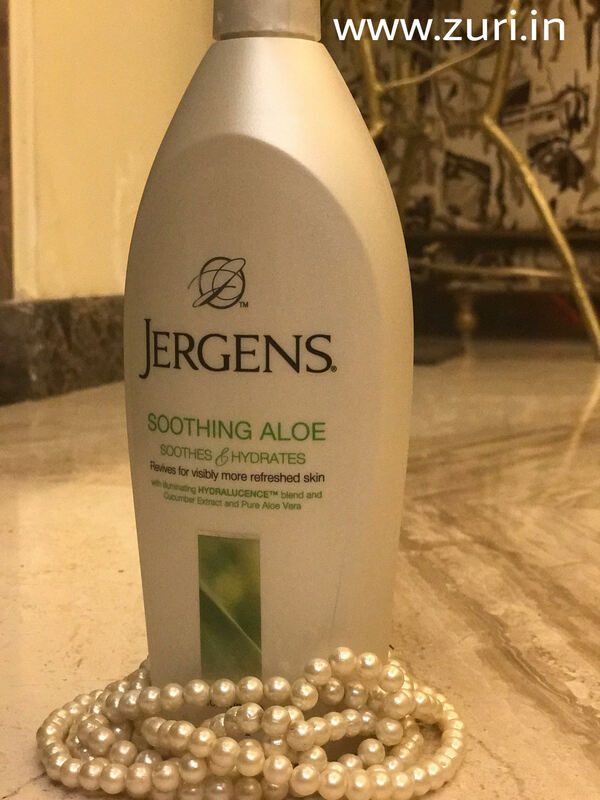 Jergens Soothing Aloe Refreshing Moisturizer (Rs 599/- for 496 ml) is a great product for dry skin ladies, it is a thick texture cream and only a little amount is enough for full body moisturization. The cream has a light aloe vera and Eucalyptus fragrance, which fades away gradually, leaving behind a refreshing scent. 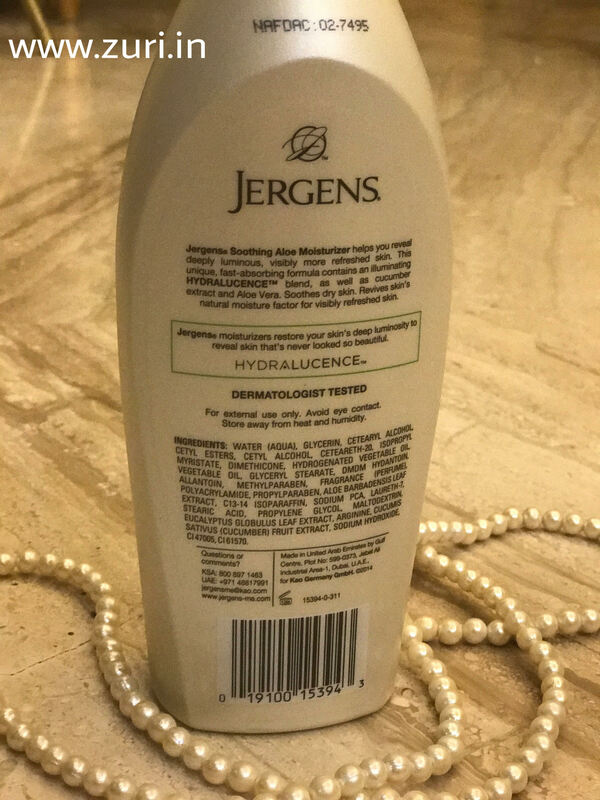 Now there are a lot of body lotions for summer, but the real trick lies in finding something that won’t grease you out and will not leave a sticky feel after each use – and this cream does just that! 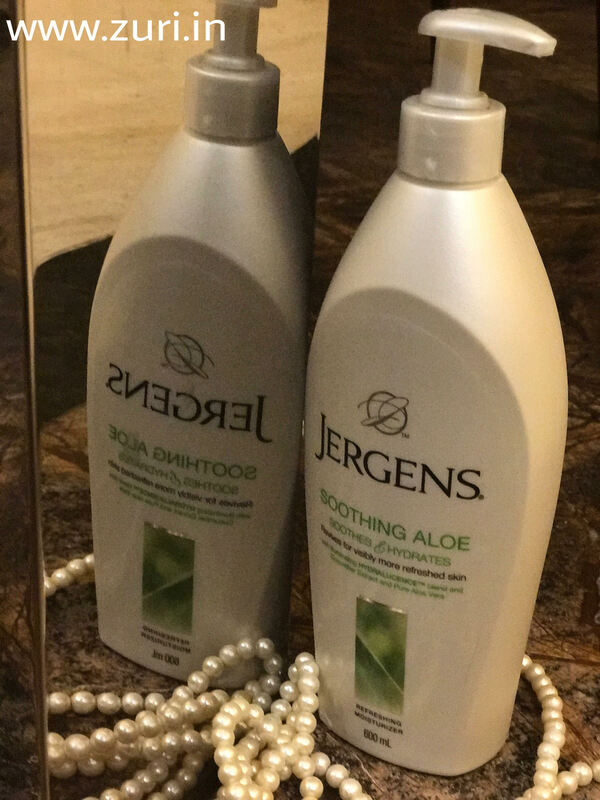 The cream is enriched with aloe vera and cucumber that leaves behind a fast-absorbing aloe lotion that makes the skin plump and supple, almost instantly. The best part about the cream is it’s texture, which is both, blend able and spreadable. Use it for a week at a stretch and you will get smooth and soft skin. Allows the skin to breathe without giving that typically weird and sticky feeling. Makes the skin soothed and hydrated. Non-sticky and very light on the skin. Only meant for dry skin people. Does not impart any glow or over-the-top shine. 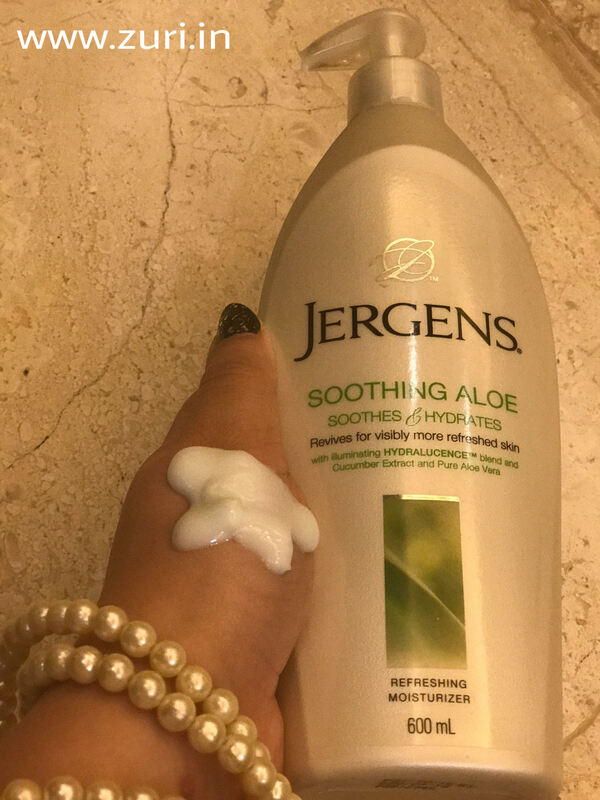 Take two pumps of this lotion and rub it between your fingers. Soon after a bath, dry yourself and apply this cream generously all over your body. Let the cream sit for 2-5 mins before wearing your clothes.